A couple of years ago I completed this review of Modernizing Energy Services for the Poor: A World Bank Investment Review 2000-2008. This was followed by extensive reviews and then revisions. And this was followed by new revisions and fresh reviews and so on and so forth. I am happy to announce that this report is finally out and comments are welcome, but no more reviews please. It may seem like a trivial exercise to classify energy access lending, but nothing could be further from the truth. When you think about it almost all energy investments can be considered as promoting or being related to energy access. Energy sector reform makes it possible to have a well functioning energy markets, and this is turn means the electricity and other forms of energy can reach the poor. Likewise, rural electrification would not be possible without generation and transmission projects. So where do you draw the line for ruling in investments as relating to energy access energy poverty or ruling them out. Compounding such classification difficulties, the typical internal categories used to classify World Bank investments were practically useless for identifying projects as providing energy access for the poor. In addition, large projects often have subcomponents that may or may not address energy access issues. For instance, we found that many projects that might be classified as energy access actually only had a small access component, and other projects that would be ruled out as access projects actually had fairly large access subprojects. As a consequence, our patient team of researchers reviewed over 500 project staff project appraisal reports from 2000 to 2008. These appraisal reports are the official documents defining World Bank loans and they are publically available. The team classified every project component as having an impact either for the poor or for providing new energy services to those without them. The deciding test for the energy access classification scheme was that the project had to directly reach or impact households without modern energy services or it had to improve such service (such as an upgrade of rural networks). This obviously means that transmission and generation are ruled out as energy access investments, even though they actually partially contribute to them. Thus, these energy access investment figures are somewhat conservative. For those interested in such details there is a chapter in the report that deals with the assumptions. Lending for energy access increased, along with total energy lending. The study estimates that total World Bank investments in energy access during fiscal 2000–08 have been about US$4 billion, or approximately one-fifth of the total energy-related investments. The work on energy access is of increasing importance for the World Bank, which reflects the linkage between energy access and achieving the MDGs. This is reflected in several ways. First, there has been an acceleration of direct investment in both grid and off-grid electricity access. These investments now comprise close to half the total energy access portfolio. Grid electricity investments include the actual investments in wires, poles, and transformers to provide electricity to both rural and periurban households. The off-grid systems include both electricity generation from small sources (for example, PV, wind, local hydropower, and diesel generators), as well as the local distribution system. The promotion of rural electricity in World Bank projects has traditionally been through grid electricity, but increasingly innovative projects have been developed to serve people in areas that will not receive grid electricity for many years to come. These innovative programs are generally run through either private sector organizations, such as equipment retail companies, as is the case in China, or through the support of NGOs and microfinance organizations. Monitoring and evaluation of energy access project impacts is also still at a very basic level in most energy access projects. Projects often do not quantify the physical targets to be met, unless they are expansion projects with specific goals. Besides the usual physical measures, few projects measure the social or economic impact in a comprehensive way. One significant exception to this is the Vietnam rural electrification project, which has a comprehensive monitoring and evaluation instrument associated with it; it was actually financed through independent trust funds outside the project. Given the current climate and interest in energy access issues, a better job needs to be done in tracking both the impact of the projects themselves and the yearly progress in meeting the energy access goals. One somewhat surprising finding is that so few investments have been made in promoting the energy transition to higher-quality cooking fuels. In this regard, a concerted effort is needed to improve the lives of the 3 billion people in the world that use solid fuels for cooking in very inefficient ways, since this could have significant benefits for both health and the environment. Only about 1 percent of the total lending was dedicated to the promotion of the transition to more modern cooking fuels or clean cooking. But there are some hopeful signs that this problem will be addressed in the near future, and that information will have to be kept for another blog. So enjoy this report and feel free to make comments below, and rest assured that there will be no more revisions. Feel free to Download this Report. from the World Bank website or from my own Google Docs website. Like the terms - the good, bad and ugly. It is unfortunate that Bank investment in clean cooking solution is less than 1%. What is the reason behind this? Not lack of funds. Was there lack of interest from governments? Or no once cares about welfare of women in developing countries? I have gone through the whole report, which is a very interesting reading. The big dilemma is that the so-called modern cooking fuels and most electricity comes from fossil fuels, the largest sources of GHGs. This is briefly delt with in Annex 1. On the other hand, the so-called traditional fuels are mainly renewable, but if burnt with a relatively high moisture content produce excessive smoke and PICs. Incidentally charcoal is a commercial smokeless biomass fuel! Part of the solution is to air-dry the fuels before use and to improve the stove efficiency. This has to be part of a household package that supplies clean drinking water, health care, including family planning, better education, especially for girls and better kichen practices such as soaking grains and boiling drinking water. The greatest cause of deforestation is clearing land for agriculture not using wood for fuel etc. This inproving agricultural productivity has to go hand in hand with the above. 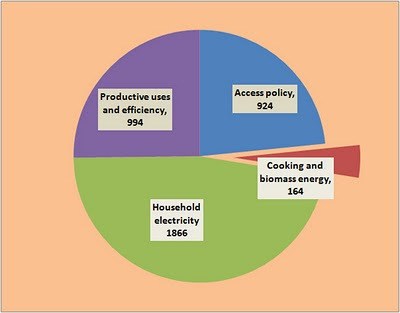 Table 4.2 gave residential use of electricity in Malawi. What it did not give are the subsidies the various household groups receive. The rich receive about $ 680 per year whereas the poor (with connections) receive about $ 60. Even those illegally connected only receive about $ 100 per year. Subsidizing electricity usually benefits the rich! Incidentally, a 3-stone fireplace inside the house can be considered very efficient if it supples both heat and cooking energy! I was confused with the data on minimum energy needs , which range from 50 kgoe to 329 kgoe (average 232 kgoe. Are the same standards being use? Could one be the input energy before end-use efficiency is considered and the other the actual energy (at the pot) required to cook the food? A couple of other comment: There is no mention of where the alleged 1.5 billion people without electricity are. There are some national numbers, somewhat cooked up (no problem), but that's like saying x% of people are malnourished and undernourished; unless you know where they are, how they live, how food/nutrition interventions can reach them, what's the point of cooking and re-cooking the numbers? There is not just income poverty, and poverty is not just a matter of falling in the bottom two or three income deciles. Sometimes there are "urban/rural" numbers, but hardly enough for planning purposes. A geography of inaccess is needed, because access is first and foremost a problem of economic geography. That is, if you cared to hold the providers accountable for reliable service. While we religiously chant "2 billion people, 1.8 billion people, 1.5 billion people" without electricity access, we obviously do not care to acknowledge that about a billion people do not have reliable electricity, even for lighting at night. The only mention I see of the problem of unreliable access is "In fact, it would be very hard to justify the expansion of electricity service in countries where there are significant shortages of electricity supply." Really?? There is no such "fact", just an opinion, and of dubious ethical value. India has continued with access expansion for some 30 or more years in the face of significant supply shortages. Can be done. Yes, it means rotating power cuts, and inducing industry self-generation, neither of which is necessarily bad. But I suppose breast-beating about the poor without access is the current flavor with religious fervour. Some 200-300 million people in South Asia have meaningless grid access, but let's not worry. They can have their improved woodstoves to bake their cakes.